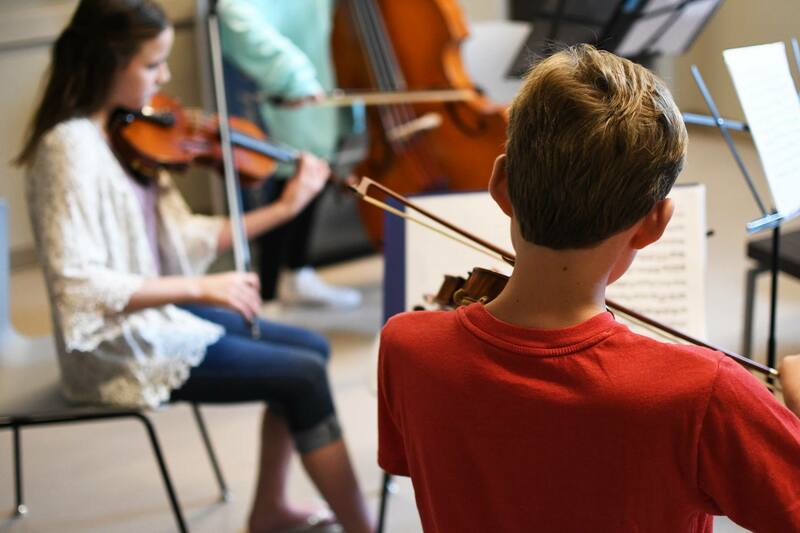 The Woodlands, Texas – This week, The Cynthia Woods Mitchell Pavilion is proud to host ChamberFest, a week-long chamber music program for students in grades 7 through 12 who play violin, viola, cello and bass. As one of The Pavilion’s educational outreach programs, the summer music camp is dedicated to teaching communication, collaboration and leadership through chamber music. ChamberFest was founded in 2012 by Marie Daniels, alumna of The Woodlands College Park High School and The Juilliard School and recipient of a Pavilion Partner Fine Arts Scholarship, as a response to a need she found within The Woodlands community. ChamberFest introduces middle- to high-school age students to the experience of rehearsals and performances in a small ensemble while enhancing their individual technique and musicality through coachings and private lessons with Julliard alumni. Students also have daily workshops on topics such as public speaking, improvisation, music history and communication through music. The camp culminates Thursday evening with a Festival Finale held in The Pavilion Event Center which will feature a full concert program with performances by the student groups and faculty members. If you would like more information about The Pavilion, please visit www.woodlandscenter.org. Look for The Pavilion on Facebook, Twitter, YouTube and Instagram, or download The Pavilion’s iOS or Android app.For a full list of performing arts events, click here.